The probe will be 15 million miles from the Sun's surface. NASA's Parker Solar Probe was launched last year to collect data from the Sun's corona. It the first probe to have gone this close to the host star of our solar system. Now, the probe will be making its closest approach ever by a man-made spacecraft. 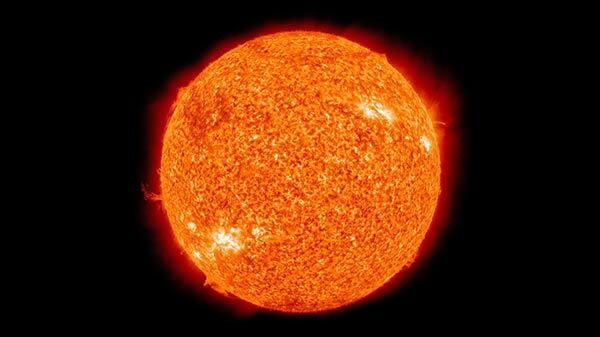 It will be reaching 15 million miles of the Sun's surface. Now, the space agency has announced the probe has made a second close approach to the Sun and is entering the outbound phase of its second solar orbit. On April 14, the probe passed within 15 million miles of the Sun hurtling at a speed of 213,200 miles per hour. It achieved this breakneck speed when it passed Sun at its closest point known as the perihelion. The team who collects the data from the probe, made contact with the probe using the Deep Space Network (DSN). The DSN uses a slew of antennas which are located at three different facilities in Goldstone, near Barstow, California; near Madrid, Spain; and near Canberra, Australia. This allows the team to stay connected to the spacecraft even after the planet's rotation. The scientists were in contact with the probe for four hours to monitor its status during the risky part of the mission. "The spacecraft is performing as designed, and it was great to be able to track it during this entire perihelion," Nickalaus Pinkine, Parker Solar Probe mission operations manager at the Johns Hopkins Applied Physics Laboratory, said in a statement. "We're looking forward to getting the science data down from this encounter in the coming weeks so the science teams can continue to explore the mysteries of the corona and the Sun."